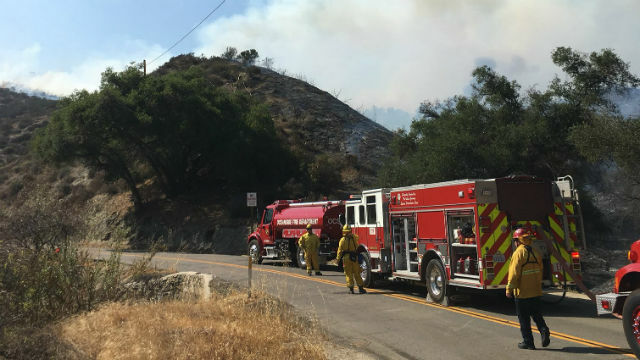 A wildfire that spread over several hundred open acres in Fallbrook last weekend was fully contained Tuesday, authorities reported. The blaze erupted for unknown reasons off Rock Mountain and Sandia Creek drives about 3 p.m. Saturday, according to Cal Fire. Ground and airborne crews needed about four hours to halt the spread of the flames, which caused no reported structural damage or injuries. Firefighters had the 207-acre burn area of the blaze, dubbed the Rock Fire, 100 percent surrounded late Tuesday afternoon, Cal Fire reported.